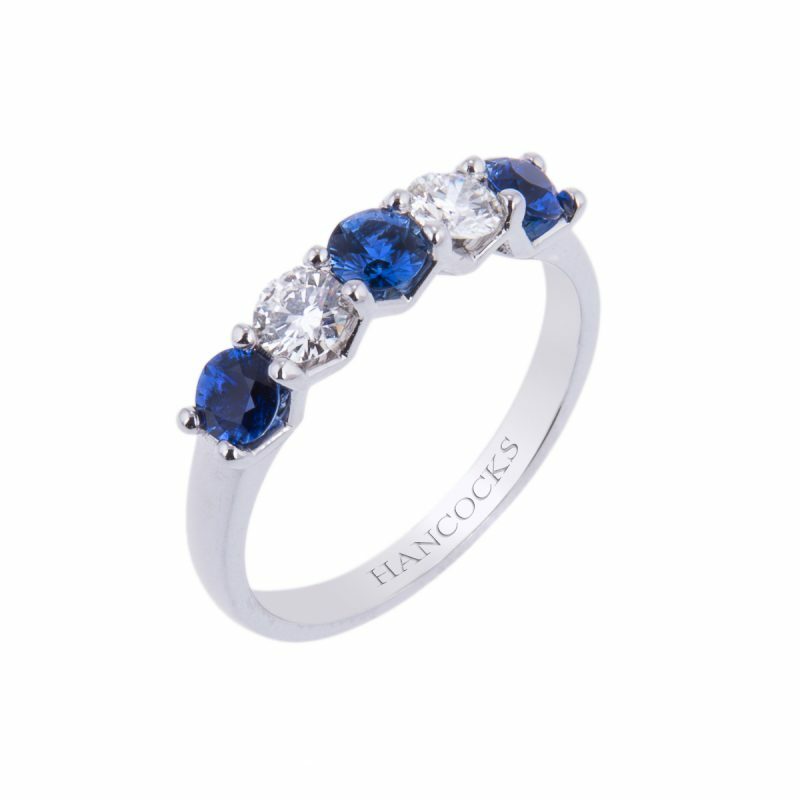 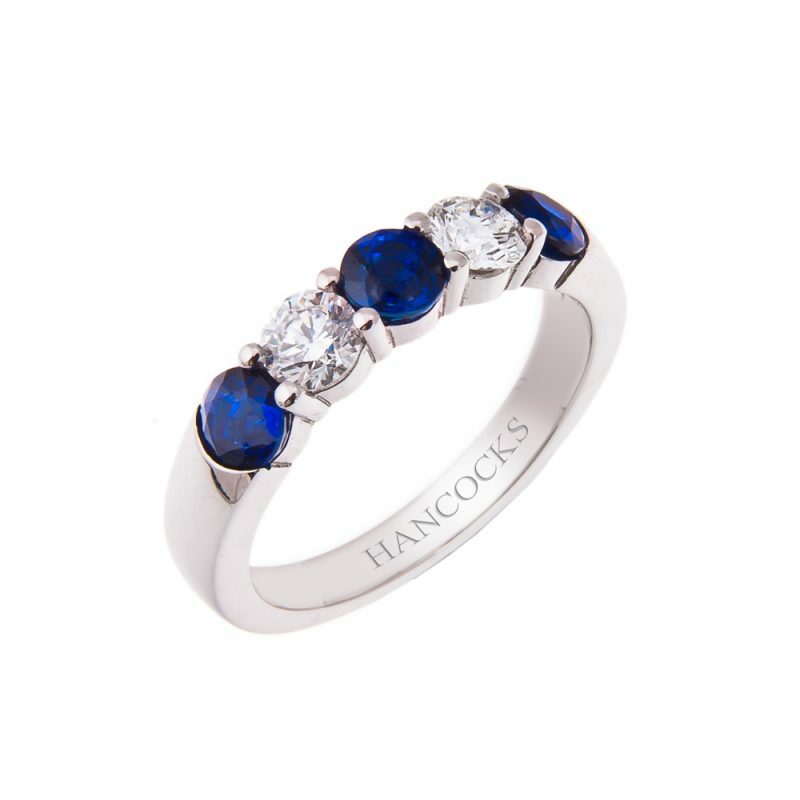 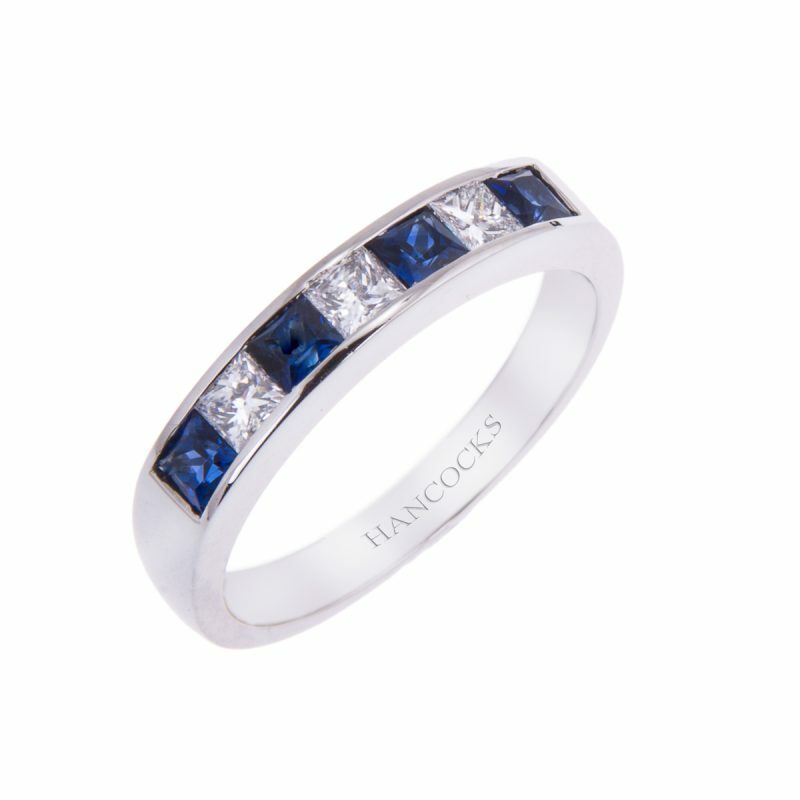 This stunning sapphire and diamond half eternity ring is mounted with 3 beautifully matched round sapphires set alternately between brilliant cut diamonds to create this timeless classic. 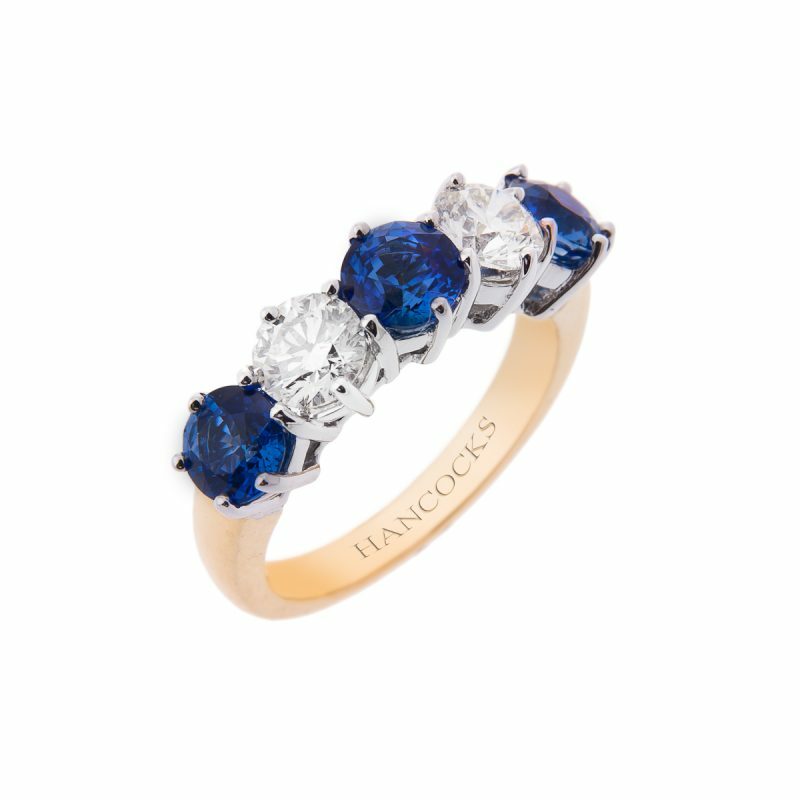 Mounted in an 18ct yellow and white gold hand crafted claw setting. 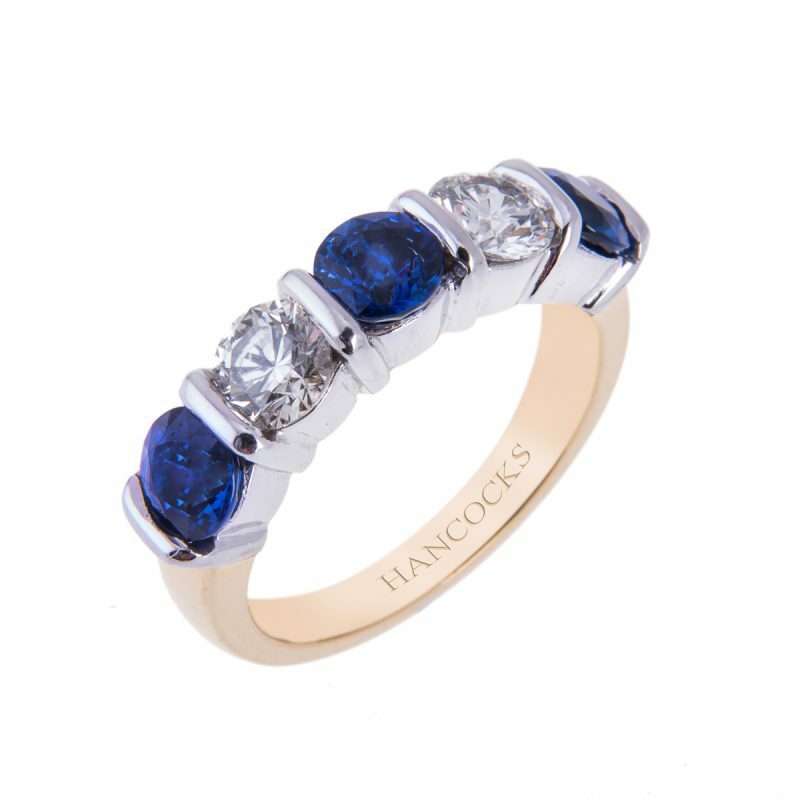 A dazzling gift for someone special, given as an eternity ring to mark that special anniversary, this impressive ring is sure to impress.